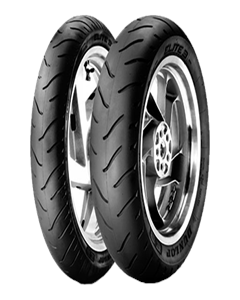 Our Elite 3 is developed for touring bikes as well as performance cruisers such as the Harley V-Rod. These bikes are made to go straight and offer the rider the ability to cover lots of miles in comfort. That is why we used our experience gained with our Sportmax range to develop a profile shape that contributes to rock steady stability, while ensuring that it did not go at the expense of cornering agility. We know touring riders enjoy taking a few fast turns every now and then!